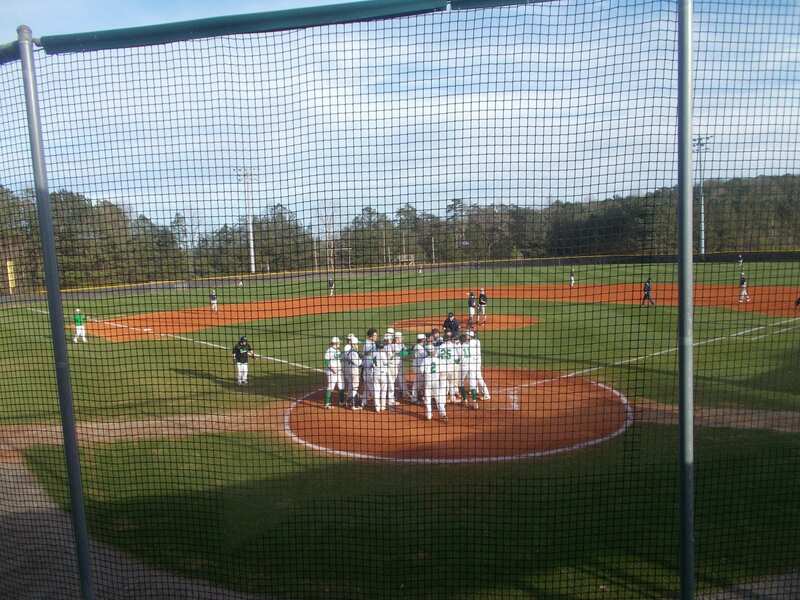 On a sunny Friday afternoon, the PHS Dragons varsity baseball team welcomed the Heritage Generals to Dragons Field for the rubber match of the 3-game set. On Wednesday, the Generals took game 2, 9-3, so the winner of this one would not only take the series, but would also claim 2nd place in the region standings by themselves. College of Charleston signee Caswell Smith started this game for the Dragons & he had a terrific outing. Smith needed 11 pitches, & collected his 1st strikeout in the top of the 1st. In the bottom of the inning, Colby James brought in Jarod Whitmore, to make it 1-0 Pickens, going to the 2nd. Smith added two strikeouts to his total in the top of the 2nd, keeping it 1-0 Dragons. Brady Moore & Smith both got 2-out hits, but were left stranded as we’d head to the 3rd. Smith, continued his nice start to the game by striking out two more Generals to keep Heritage off the board in the top of the 3rd. Pickens, would go down in order in the bottom of the frame, & we would go to the 4th, Pickens still ahead, 1-0. Smith again would add two strikeouts to his total in the top of the 4th, still holding Heritage scoreless. Pickens broke through in the bottom of the 4th after Chad Pacas hit a solo home run, Smith doubled in Moore, & Whitemore scored on a passed ball, to make it 4-0 Pickens going to the 5th. Smith’s performance on the mound yesterday was one to remember. Allowing the only two hits against him to come in the top of the 7th. Pickens held on to get a big win 4-0, taking the series from Heritage, 2-1. Pickens, will continue region play next week, as they square off against the Gilmer Bobcats in a three game series. Game one, will be in Ellijay on Tuesday at 5:30.